Amazon is now taking pre-orders for the History Channel 5 star best seller DVD. Amazon will not charge your credit card until the DVD ships. They are pricing it about 10% below the History Channel at $22.49. Amazon will greatly increase the exposure to this program. 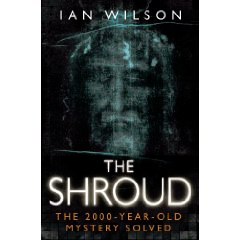 Ian Wilson’s, The Shroud: The 2000-Year-Old Mystery Solved. Regrettably I must suggest you avoid John Lupia’s, The Ancient Jewish Shroud at Turin. Though pro-authenticity, it is complete nonsense. 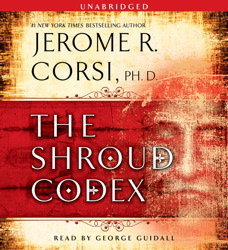 Jerome Corsi, a #1 New York Times bestselling author, was kind enough to send me an advance copy of his latest book, The Shroud Codex. Simon and Shuster, the publisher, sent me a copy, as well. Would I write a review? Would I recommend the book to others? Well, that depends. I must read the book first and then think about it. So . . .
Buy it now. Read it now. You have options: You can buy the hardcover version of the book in a bookstore or order it from an online retailer like Amazon, Barnes & Noble or Borders. If you have a Kindle, iPhone or iPad, you can buy the Kindle version of the book at Amazon and be reading it in three minutes. If you prefer, you can buy a different digital version directly from the Simon and Shuster website. If you are like me and like to listen to books while walking the dog in the park, you can buy an audio book version at audible.com or other dealers. The Shroud Codex is a novel, but a novel you can learn from. Just as you can learn a great deal of history from well-written historical novels, you can learn a great deal about the Shroud of Turin from The Shroud Codex. If you know everything there is to know about the Shroud, it is still a wonderfully gripping, enjoyable novel. Read it for fun. You will be glad you did. The Shroud Codex is a compelling and intriguing mystery, which mesmerizes the reader from the very first page. It is a book that is hard to put down, as the reader is driven to learn the truth about the Shroud of Turin and the impact that it has on the lives of the characters. What seems most interesting and unique to me about The Shroud Codex is the fact that it contains a variety of genres, thus, making it appealing to a wide audience. It could be included in all of the following categories: religion and spirituality, history, science, science fiction, the paranormal, and mystery. Because of this, I believe that it will attract believers as well as non—believers alike who want to learn more about this ancient, fragile, bloodstained cloth, that many believe to be the actual burial cloth of Jesus Christ. Will Corsi once again make it to the top of the New York Times Bestseller List? He should. What all skeptics do not notice is the fact that a forger only fakes something either preexisting or something which is known throughout the history. He never will fake something which was invented by him, because this is nonsense at all. 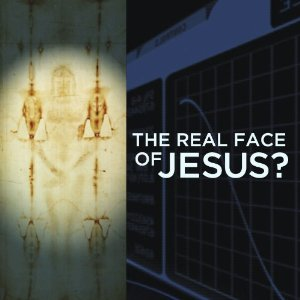 Both conditions are not satisfied in the case of the Shroud of Turin, because neither the New Testament nor the apocryphal writings mention a single line about the existence of a cloth with the dorsal and frontal images of Jesus’ body. Christian tradition, on the contrary, mentions a cloth with only Jesus’ face (the Veronica veil). Before the Middle Age, nothing is mentioned about it, as well. Why will a supposed forger be at the same time so skilled in order to make such an astonishing masterpiece (which even today is very difficult-if not impossible- to copy) and so silly in order to ‘fake’ something unknown at his time? The History Channel (or simply HISTORY, as they now prefer to be called) often gets a bad rap as the channel of such shows as “Ice Road Truckers” and “Ax Men.” But when it comes to DVD sales, the documentaries that they produce that get the best acclaim are the best sellers. Read the list of the top ten sellers as of this morning. It is quite astounding that the “The Real Face of Jesus?” about the Shroud of Turin is the number one best seller. Well, maybe it isn’t. It is estimated that well over seven million people saw the show within the past two weeks. HISTORY broadcast it at least five times in North America. Buyers of the DVD have given the show a 4.9 stars out of a possible 5 stars and almost all gave it 5 stars. Only six people gave it 4 stars and no one gave it less than that. (If you want to rate it, you need to buy the DVD. This avoids stacking the deck, a problem that persists at Amazon). Performance Films are pleased to announce the successful delivery of their new film made at the request of the Committee for the Exposition of the Shroud of Turin commencing April 10th 2010 for 6 weeks. The 45minute film (available in HD and DVD) is simply entitled “Shroud” and tells the stories that new discoveries have revealed. New historical discoveries show how the Shroud first heard of in the gospels came to arrive in Turin via the ancient city of Edessa and Constantinople It is a fascinating journey. The writer is Ian Wilson, author of the newly published book by Bantam of the same name. Rolfe won a BAFTA for his first film on the Subject – The Silent Witness in 1978. In 2008 he brought things more uptodate with a film for the BBC and sold internationally presented by Rageh Omaar. Turin granted Performance Films the exclusive privilege of new filming of the cloth in HD. The film is available in Turin on DVD and soon as a download from www.performancefilms.co.uk and Amazon. A broadcast quality video clip of the 3D image of the Man in the Shroud is available by download as well as still images. Please contact Performance Films for more information. Available in English, Italian, Spanish, French, German and Portuguese. Tel: 01494 678484 or 07831 335577. 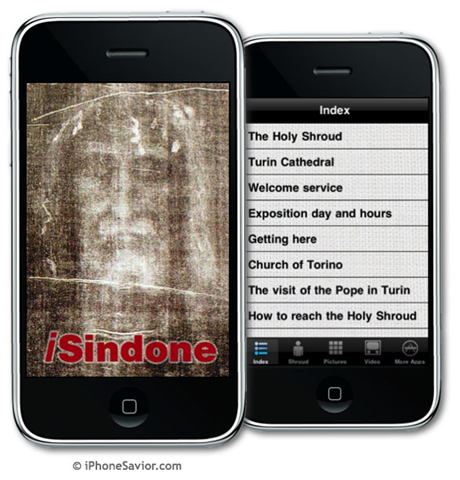 No, we are not kidding; you can download a Shroud of Turin iPhone application developed by iPhoneSavior.com and Intermundia. It is being offered to the public by Apple at their iPhone and iPad Application Store. It is called iSindone. It provides dozens of YouTube videos, articles about the Shroud and a high-resolution photograph of the Holy Shroud with scroll and finger-zoom function. There are helpful details for seeing the Shroud between April 10 and May 23 and a special section on Benedict XVI’s planned visit on May 2nd. I downloaded it to my iPhone. All I can say at this point is that it works.